JUBA, Dec. 14 (Xinhua) -- The Chinese government on Thursday donated 349 pieces of agricultural machinery to help South Sudan reinvigorate and transform its agricultural sector amid food insecurity caused by five years of conflict. He Xiangdong, Chinese ambassador to South Sudan, said the machinery which include grain combine harvester, walking tractor, seeder, potato planter and potato harvester will help South Sudan to secure stability and prosperity in the wake of the recently signed revitalized peace agreement by the warring parties. "With the signing of the revitalized agreement there is a huge opportunity for the peace, stability and prosperity of South Sudan. Today, we are here to transfer 349 pieces of Chinese agricultural machinery to the ministry of agriculture and food security," said He in Juba, during the handover ceremony. The Chinese government has already sent a five-member technical and engineering team to South Sudan who have trained about 14 local South Sudanese technicians over a 30-day period time who are expected to train their South Sudan colleagues in the assembly, operation and maintenance of the China-aided machinery. 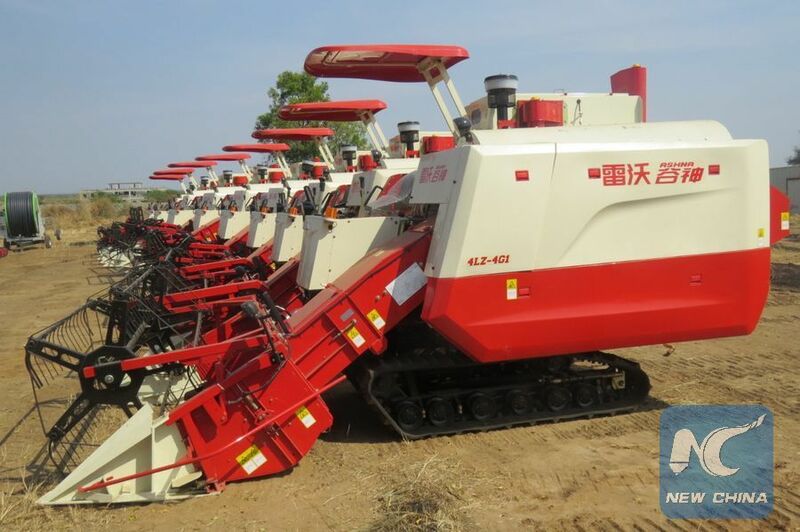 Onyoti Adigo Nyikuac, South Sudanese Minister of Agriculture and Food Security, lauded China for donating the machinery and also added that more South Sudanese are going to acquire technical skills from their Chinese counterparts as they aim to move away from subsistence farming to commercial farming. "The problem in South Sudan is poverty and hunger. Now with the signing of the revitalized peace agreement all the people of South Sudan including the rebels will be focusing on agriculture which will be a step forward in alleviating poverty," said Onyoti. He also urged the Chinese government to help them set up more agricultural innovation and research institutions especially in the northern areas of Renk in Upper Nile and Bhar El Ghazal regions where Sorghum and rice growing activities are prominent. Sophia Pal Gai, the South Sudan Minister of Water Resources and Irrigation, said the Chinese government has not only given them the machinery but also the skills to develop the agricultural sector that still lags behind with the WFP estimating that only 4 percent of the vast land in South Sudan is under use. 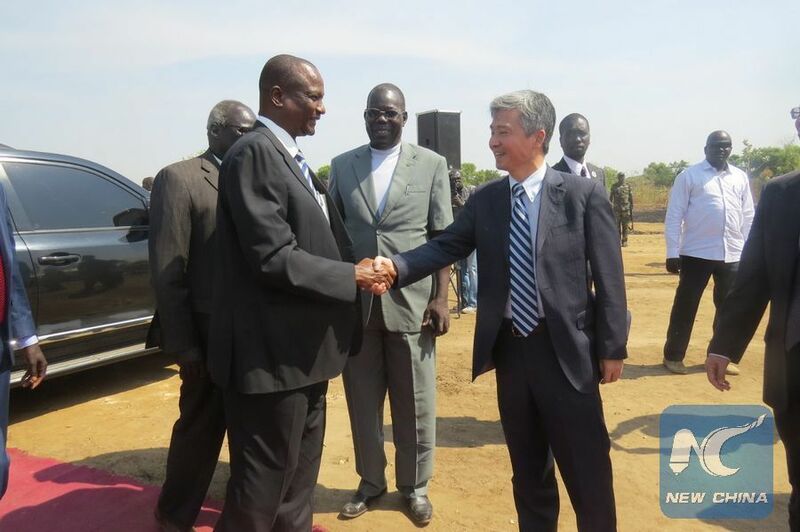 Since the independence of South Sudan in 2011, the Chinese government has been continuously supporting the South Sudanese in agriculture and food security, said Gai.